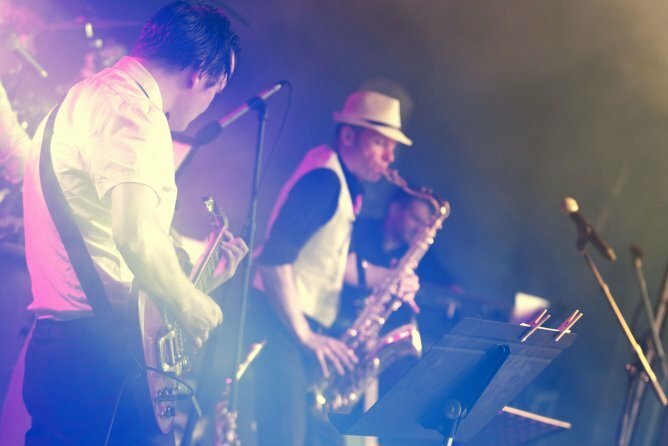 Join every Friday after work for live Jazz performances from talented artists and relax over a glass of wine and great food! This is Dublin’s only live music session, after work on a Friday in a very unique setting. This is a very intimate venue with its open top roof, so best get there early on a Friday! EVERY FRIDAY (5.30 until 8.00pm) Always FREE IN! Join every Friday for live music. Special drink promotions every week. The perfect way to start your weekend. Come on join on the Polish Night on traditional St Andrew Day. Night full of fun, live music by THE HUNTERS, dance, delicious food (hot dinner and snacks) and st Andrew divinations. Non-alcoholic drinks, hot food and snacks will be included in the price but if you want wine, beer or cocktails, they are available at a very reasonable price (cash only bar). A night of Italian food, music & theatre! Did the ice prove to be too slippery? Are you feeling the Friday Night Fever? Then let’s get that groove on at The Rink at D12!